BC Nature is a large network of people who know nature in BC and work hard to keep it worth knowing. The BC Nature Conference was in Victoria this week and as I am teaching marine science at nearby Pearson College, I went in for the Saturday sessions. Coastal biodiversity, marine invertebrates and whales are all favourite topics of mine and I had the chance to see Brian Starzomski, John Ford and David Denning do fabulous presentations on those topics. Each speaker inspired the audience with stunning photography and video, astonished and humbled us with new and exciting information about the complexity and sophistication of nature and reminded us about our responsibility to ensure that this incredible life-support system (aka nature) is strong and resilient for future generations. There was a feeling of hope as we saw students making a difference at Hakai, heard about the recovery of the Humpback Whale and the first BC sightings of the north Pacific Right Whale since 1951. Youth was in the forefront as we learned about Salt Spring Island Secondary School’s ambitious plans for solar power. Lunch was next and I was lucky to I reconnect with friends David and Margaret, both passionate about nature for future generations. The sound of bagpipes heralded a grand entry, befitting BC’s Lieutenant Governor, BC’s vice-regal representative, the down to earth, Judith Guichon. She spoke, opening the BC Nature AGM and shared insights about her role, projects, and background in holistic management, which resulted in environmentally sound ranching practices in BC. Best of all she reminded us of the importance of being positive. As a volunteer involved in a smaller, younger non-profits, (NAME, CaNOE and BCSA) I attended the AGM to learn how a venerable and well-respected organization like BC Nature conducts its business. Simply, respectfully and efficiently describes the process. We finished 35 minutes early so I made a dash for the door and headed out to the end of the breakwater. En route, I had a bird’s eye view from the top of two undisturbed Black Oystercatchers feeding on limpets (Lottia spp.). It was all the more interesting to watch since my first year classes had just been using population ecology techniques to estimate limpet numbers across the water in Pedder Bay and we had seen Black Oystercatchers at Race Rocks. Going back, I took the lower route to get a better view at the water’s edge. The new bull kelp was sprouting up all fresh and gorgeous. Fishermen were casting for lingcod and losing their lures and people were enjoying being out at sea without leaving land. Drifting along past the huge rock slabs, there were smacks of cross jellies feeding on smaller plankton. As I rounded the last bend heading for shore, a grandmother, daughter and grandson were staring into the water, astounded by what they saw. At first I couldn’t figure out what they were looking at. In the low evening light these creatures looked like giant sperm with bioluminescent heads and metallic orange flashers. They were swimming amongst the surf grass and feather-boa kelp. Were these some sort of new, weird invertebrates introduced in ballast water? As I got closer, I recognized them as tube-snouts Aulorhynchus flavidus, a common species of fish in BC. Now I have seen tube-snouts, their eggs and developing babies, on docks all my life but I had never seen them like this. Tube-snouts look a bit like pipefish but a little more stout, without that straightened out, sea-horse look. Male tube-snouts don’t get “pregnant” like male pipe fish do and female tube-snouts glue their yellow-orange eggs onto seaweed or other things (like docks) in the water. The remarkable fish in front of us were male tube-snouts strutting their stuff. Their density was high, probably 20 fish per square meter and they were right at the surface flashing and pulsing. As they say on the Vancouver Aquarium blog, they were “at it again”. It was wild to see, almost alien, like deep-sea fish, flashing at potential mates and competitors. But we were not in the abyss, it was right there on the surface in a busy urban setting. BC nature at its best….right in front of us. Lets keep it that way. Categories: Uncategorized | Tags: BC Nature, black oystercatchers, bull kelp, cross jellies, humpback whales, limpets, Pacific Right Whales, tube-snouts | Permalink. I am loving teaching Marine Science at Pearson College in Metchosin but went home and spent Easter weekend in Bamfield where brilliant bioluminescence and the constantly shifting season inspired me once again. Many seabirds are looking pretty snappy in their new feathers. Pelagic Cormorants are super easy to identify with their big flashy white patches. Pairs of Pigeon Guillemots whistle and zoom together doing synchronized flights and swims with their bright red feet steering their path. Even the gulls look exotic in their breeding plumage. My favourite of all time though is the Marbled Murrelet (MaMu). Its’ breeding plumage is cryptic, a marbled brown more suitable for an owl than a seabird. The thing is, MaMu nest in the forest on big, moss covered branches, high in the canopy and far from the forest edges. They need to look like tree bark in the summer months. They are still the best seabirds around, in my opinion. I see them paired up and calling for each other, doing their little dance, side by side bills in the air together. Ah, spring is in the air and the ocean. Spring is moving up the west coast of North America. 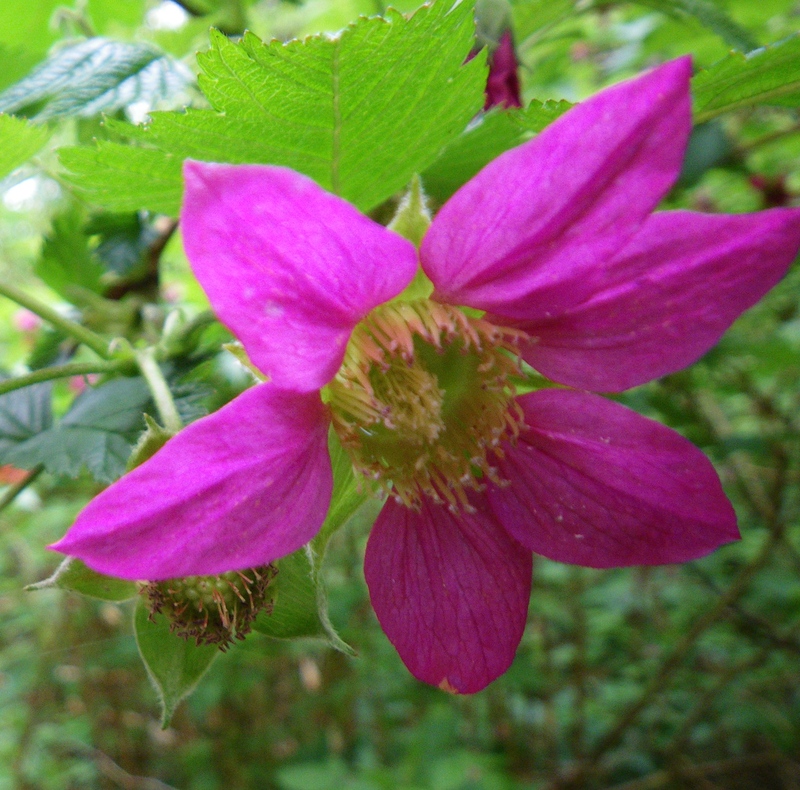 As the days grow longer and sometimes warmer, bright pink blossoms shout out that spring is on the way. So are the Gray Whales on their way. Big pregnant females are leading in this more than marathon swim, the greatest mammalian migration on the planet. These newly pregnant females will go all the way up to the Bering and Chukchi Seas from Mexico’s warm water lagoons in order to feed during the 24 hour daylight hours of the northern summer. They have a lot of weight to put on in order to produce a healthy calf and enough milk to nurse that baby and help it on its first migration next year. Moms with calves are the slowest and generally last to pass on this mega-migration to the seas of the midnight sun. The calves are weaned where summer food is plentiful in the north. The Gray Whales are ecologically very important to their summer feeding grounds and act almost like farmers by plowing the seabed where ‘disturbance communities’ of bottom invertebrates dwell. Little crustacean creatures called amphipods (like beach-hoppers) build mats of tiny tubes where they feed on food drifting down from the surface. As the whales rise up, they sieve out the sediment and sand from the bottom gulp, releasing nutrients for phytoplankton growth and tiny amphipods that re-seed the disturbed seabed. The phytoplankton is of course the powerhouse in this system converting the sun’s energy into food for everyone. It is pretty amazing how it is all connected. The Gray Whale migration is beautifully timed to take advantage of another amazing spring event, the herring spawn. On the west coast, tons of herring move inshore during the winter and as spring moves northward up the coast they have mass spawning events in shallow water. The rich little eggs are tiny power packets of fuel that energize many species in their migrations and spring activities. By the time the herring larvae are swimming and feeding, there are nice oily diatoms (phytoplankton) and tiny crustaceans called copepods for them to fatten up on. Even if you don’t usually read scientific papers try this one. It is an amazing sustainability story that we could learn from. Whether it is a long migration, a long time or looking for a long and sustainable future, lets try to take the long look in trying to understand our place on the coast. It is the long look that people have, who have lived here a long time and intend to stay for a long time. Baby is growing up fast. Hello, my name is Anne Stewart and I am filling in for Laura Verhegge, the usual author of this blog, while she is away on maternity leave. I have been really enjoying Pearson College and want to keep the blog active while Laura is busy with her new little boy Finn ( a happy, calm and easy baby). Mother and child are doing well. Spring is coming, so the Marine Science theme for the blog will be babies, for now. 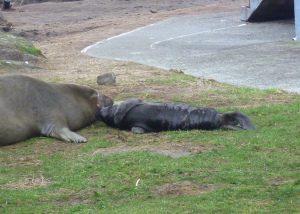 I hope you enjoy this “before and after” Northern elephant Seal story (before & after nursing) and the “before” photos taken by Year 40 Marine Science Jessica Collins, from the United Kingdom. 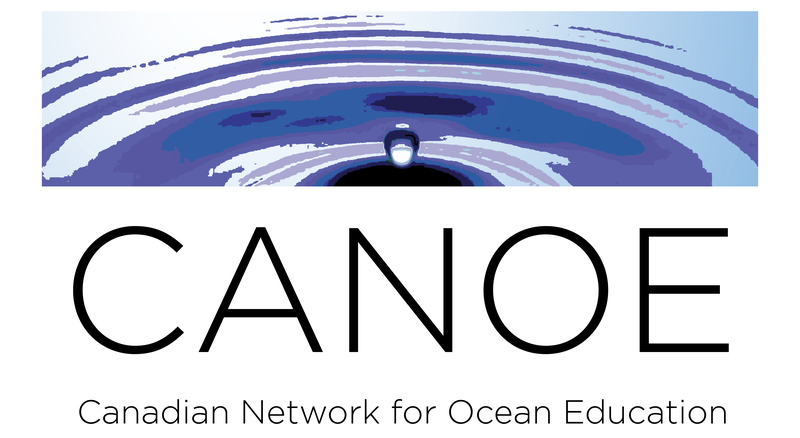 CaNOE aka the brand new Canadian Network for Ocean Education Society is all about ocean literacy in Canada. Its’ soft launch (web-site up) was on December 8th, half way through the year from World Oceans Day. Next World Oceans Day, June 8th, 2014, CaNOE will complete its launch by celebrating Ocean Literacy success stories from all over Canada. Please use the press release below in your community to help spread the word. The launch is also timed to coincide with voting for your favorite entries in the on-line art show at the Vancouver Aquarium which is dedicated to the sixth principle of Ocean Literacy: the ocean and humans are inextricably interconnected. Vote now for your favourite work in the Vancouver Aquarium’s Ocean Art Online Exhibition! Voting ends December 15, 2013. 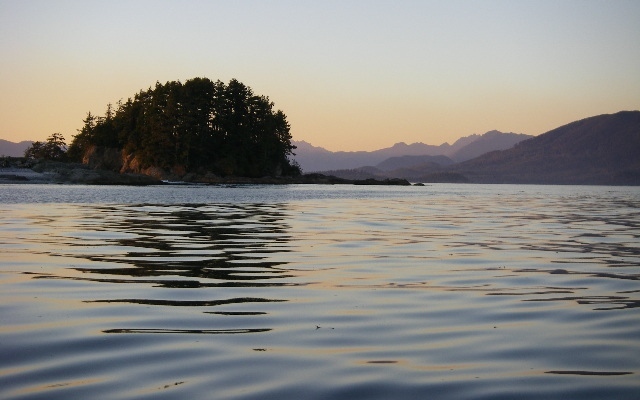 Vancouver, BC – A new non-profit, the Canadian Network for Ocean Education, or CaNOE, has created a new website promoting the Ocean Literacy Principles in Canada. The website features seven ocean literacy principles as well as programs being offered by like-minded institutions that are also promoting the principles: Vancouver Aquarium, Ocean Networks Canada, Canadian Wildlife Federation, Royal BC Museum and others. The goal is to further Canadians’ understanding of the ocean. “Oceans play a central role in our daily lives. They control the climate, provide food and oxygen, are a means of transportation, and are crucial to many other basic necessities,” says Jonathan Hultquist, manager of public programs, Vancouver Aquarium. •	the oceans provide at least 50 per cent of the air we breathe? •	more than 2.6 billion people (that’s more than a third of the world) depend on the oceans for their primary source of protein? •	over three billion people depend on marine and coastal biodiversity for their livelihoods? •	the oceans absorb about 30 per cent of the carbon dioxide produced by humans, buffering the impacts of global warming? Ocean literacy means understanding the ocean’s influence on you and your influence on the ocean. There are 7 principles of Ocean Literacy — concepts scientists and educators agree everyone should understand about the ocean. Canadian institutions are embracing these Ocean Literacy Principles and finding creative ways to inform and inspire people. The Vancouver Aquarium is hosting the Ocean Art Online Exhibition to promote these Ocean Literacy Principles. Canadian artists and photographers of all ages were invited to create visual expressions that demonstrate the 6th ocean literacy principle: the ocean and humans are inextricably interconnected. The online exhibition accepted submissions from Canadians of all ages until November 30, 2013. Voting for favourites is open from December 1-15, 2013. CaNOE launched its new website http://cwf-fcf.org/canoe/en/on December 8, 2013, when the Vancouver Aquarium’s Ocean Art Online Exhibition is available for viewing and voting. CaNOE launch for Ocean Literacy: The new green is blue. CaNOE is the network that advances ocean literacy in Canada by linking best practices, diverse constituents and by charting a course that includes ocean education for a sustainable future. CaNOE is as much about celebrating what is already going on, as it is about moving the ball forward. CaNOE is the network that connects Canadians working towards ocean literacy all over this huge country, from Arctic, to Atlantic, to Pacific. Every part of Canada connects to the ocean through its fresh water in watersheds, through its’ weather and through its goods, but this is just the tip of the iceberg. CaNOE provides a platform for learning, dialogue and communication about ocean literacy in Canada. By pulling together, the momentum created, increases understanding of the value of the ocean regionally and nationally, now and for the future. CaNOE can help Canada keep up with international interests and obligations . CaNOE can help transform education in Canada to include the ocean, after all this life support system is the dominant feature of our planet.